There are good ways to hang icicle lights, and then there are ways that just do not work. When icicle lights first came out, safety was a concern, as they tended to get hot. Today, you can purchase LED icicle lights that give the same sparkling effect without giving off any heat. So with the main safety rule for icicle lights firmly established, consider the ways to hang those icicles for your holiday decorations. It is not enough to stand outside your home, picture the icicle lights hanging from the eaves in your mind and then start installing the lights. Since the icicle lights do hang down between 12 and 18 inches on average, install them where they will not cover up other decorations or interfere with the view of your decorations from the road. 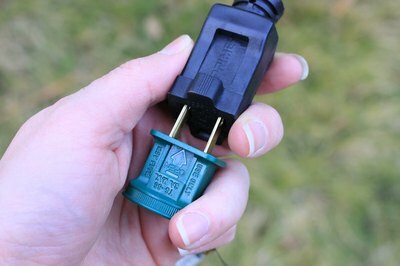 Plan power for your lights, which includes how and where you will plug them in, and how you will turn them on and off. One consideration could be a timer system that turns your holiday lights on and off without you having to remember to do so every night. Some people use various forms of glue to attach their icicle lights to their home, and then they just keep the lights up all year long. The home experts at True Value Hardware recommend against using glue, as it may not be able to withstand the rigors of winter weather. Glue affixed to your home's exterior paint trim may also start to remove the paint over time. 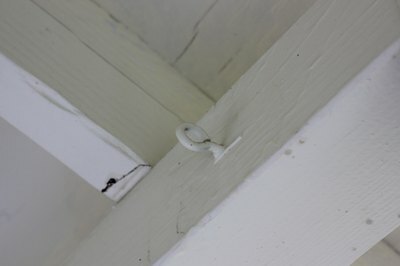 True Value recommends using specially designed hooks that can either latch on to the gutters that surround the house or can be permanently mounted to the exterior trim. Hooks will not give way in the winter weather, they will not tear the paint from your house trim and they give you the option of taking your icicle lights down and properly storing them so that they last longer. You may have seen other people with icicle lights that appear in strange patterns on their roof and wondered how they did that. 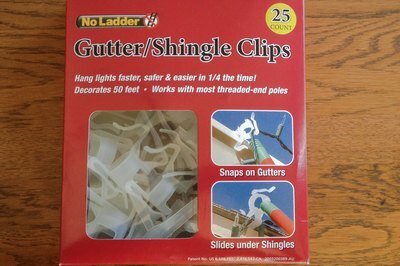 A type of icicle light clip will work with the three-tab asphalt shingles common in much of the country. These clips can be used to put icicle lights in any pattern on your roof, and then removed when the season is over. Before committing to installing icicle lights this way, you may want to purchase a small sample of shingle clips and see whether your shingles can support them. Older shingles may lack the thickness needed to allow the clips to work properly, or frail shingles may get damaged by the clips. 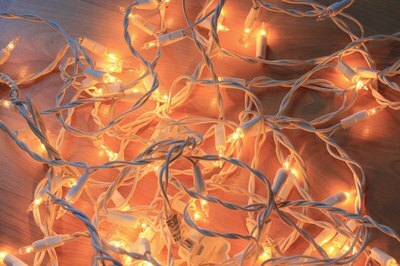 Use LED icicle lights only when using shingle clips to prevent the possibility of the bulbs catching your roof on fire.